Two colleagues diagnosed with cancer; one of them dying just days after being diagnosed. A third friend's cancer rages back, forcing her to be admitted to hospice care. Work frustrations and humiliations that in light of everything else are so minor, and yet kicked me while I was already down. It's been a hellish three weeks since I last logged onto this blog and, as a result, on Saturday I needed to cook. I needed to do something tactile and productive that didn't require a lot of thinking. I needed to make my kitchen smell like someone actually cooks in it. I needed to feel the weight of my knife in my hand. I needed to follow my instincts. I needed to feel like I could do something right. I needed to focus on something other than the outside world. I needed to have my friends around my dining room table. And, I know this sounds strange, but I needed to hear the comforting white noise the dishwasher makes as it's doing its thing. All of this brought be back to center -- or at least as close to center as I ever get -- and set the tone for one of the most relaxing Sundays I've ever had. Here's to good health, comfort, friends, support, and sanity. All things I'm incredibly lucky to have. When I originally planned to make this dish, I hoped I'd be able to go hunting with a friend of mine and bring home a nice deer loin to use in this dish. Sadly, the timing didn't work, and I had to look elsewhere for a loin. If I didn't live in such an uptight, hippified town, I'd just shoot one of the dozens of deer that stroll through my yard every night. But alas, I cannot. Thankfully, Wegmans carries D'Artagnan products, so I didn't have to look very far. I covered the venison pieces with a wet paper towel and stored them in the fridge while I prepped everything else. I pushed it through a fine-mesh strainer. You'll see the final purée in the plating photo at the end of the post. The last prep step I had to take was making the cherry sauce to spoon over the celery root purée. This lovely small saucepan contains dried cherries, ruby port, and cabernet sauvignon. I brought it to a boil, then simmered it, then added veal stock, brought it up to a boil, then reduced, strained, and reduced further. You guys? I kind of want to marry this sauce. I put it in the oven for three minutes, then flipped each cylinder using an offset spatula and cooked it for another three minutes. I could tell it wasn't going to hold up like the one in the photo in the cookbook, but I really didn't care. You know why? 'Cause this smelled amazing. Really and truly. I couldn't wait to eat it... I didn't care what it looked like, 'cause I knew it would make me really, really happy as soon as it was in my mouth. One little note before we get to the money shot: there's a "toasted oat bubbles" component to this dish that I failed pretty miserably at. I roasted the oats, steeped them in milk and water, then strained them. When I went to add the salt and soy lecithin (it's what makes it bubble), I couldn't find it in the pantry, and realized I'd ordered more agar agar instead of soy lecithin (duh), so I couldn't make it foam. I put it into a siphon canister and discharged an NO2 cartridge, thinking I might be able to rescue it that way, but you'll see in the photo that it just looks like milk that someone blew bubbles into using a straw. The green garnishes are chives and micro sage leaves. You'll see the venison is not 100% encased in the granola. You'll also note that I 100% don't care. This was really, really good. Everytime I have celery root purée in a restaurant, I'm reminded of how much I love it, and yet I never make it at home. That's stupid. It's so good, and so freakin' easy to do. I need to make it more often. The cherry-wine-veal stock sauce was ridiculous. The venison was tender, and the granola? Wow-effing-zers. I have leftovers and plan to eat it with some duck I've got ready to roast later in the week. Even the oaty milk was good, and bolstered the light heartiness of this plate of food. It was a lovely dish on a chilly night with my dearest neighbor friends, and it made everything in the world alright again. Resources: Venison from D'Artagnan; veal stock from my freezer; Lundberg rice; 365 canola oil; produce and aromatics from Wegmans; Hodgson Mill cornstarch; David's kosher salt; Bob's Red Mill oats; allspice, pistachios, and dried cherries from the TPSS Co-op; Toigo Orchards honey; Natural by Nature heavy cream and milk; Sandeman ruby port; Jericho Canyon 2006 cabernet sauvignon. You're back! 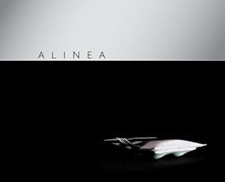 And this looks like the first Alinea At Home recipe I feel brave enough to try. Welcome back! And I'm very sorry to hear about your rough couple of weeks. My condolences. Cooking is such wonderful therapy, isn't it? Hope things start looking up for you! Wow, what a few weeks! Sorry to hear about all the stress and trauma. Carol, I'm so sorry about your week. Truly. Those weeks...well, you know. This recipe is amazing, and as we have our very own Red Deer Farm right here in Lyme, I am heading over there TODAY to get a loin, and this dish WILL be on the menu this week. Where do you get your micro greens? I've had a hard time finding them in the DC/NoVA area. That dish looks amazing and I'm not sure how you restrained yourself from just shoving the granola into your mouth all by itself. Dex is adorable. So very sorry about your friends and hideous times lately. The kitchen can truly be our zen place and there is nothing like good food enjoyed with good friends to lift the spirits. You think your last few weeks sucked? Ask the deer that provided the venison for your carnivorous desires about the last two weeks. I have often been tempted to wrestle one of my lawn crossing Bambis to the ground in a display of fair-play meat harvesting. I fear that they would win. It is good to see that you can make your situation a little better by screwing with the life of another one of God's cute and tasty critters. D'Artagnan is pretty good about harvesting and using as much of the carcass as they can, are they not? Thanks for the post. I am always a little heart-broken when I see road-kill deer that will not be fully appreciated for their sacrifice. The crows and other carrion-munching neighbors let too much of it go to waste. My daughter brought me a venison leg the last time she stopped in (I should have her come by more often, right?). I plan to use most of it for sausage, but perhaps the nicest, tenderest parts could be used for this, eh? I'm with you on the celery root. Why have I never thought to make it at home? It's been a rough few weeks here as well. Doing something sure beats brooding over it. I've been gardening, baking and cleaning. Glad to have you back, again. Gorgeous! There's celery root puree in my near future. Sorry about the hellaciousness. I have immersed myself in cooking during such times, too. Thank you for doing it and doing such a great job with the cooking and the writing. Ugh, I am heartsick for you and your friends... what a crap month. I'm so sorry. And the oat bubbles? Totally wouldn't have known you'd messed it up if you hadn't said something. Looks totally pro to me. I'm so sorry to hear about all the bad news, but I am thrilled to see you are back with a great post. Looking forward to the Goose. Hah! My last dog Shayna, may she rest in peace, was a total vegetable freak. One time when my back was turned she got a whole head of broccoli and was ripping it up with great gusto. Oh man. This post was excellent in so many ways. I just found out this afternoon that my grandmother passed away. Thank you for putting into words why you cook when you're coping with something terrible... that's exactly how I'm feeling right now. And reading through your post, cooking vicariously, has made me feel a bit better. You've inspired me to put down the Kleenex and hit the kitchen for my own culinary therapy session. I wish I had a dog as adorable as yours to keep me company! Going into the kitchen and producing something useful and/or beautiful and/or delicious helped me through the hardest time in my life. I am glad cooking has provided solace and sustenance for you during this very rough patch as well. Of course, you have taken it a step farther than I did by producing a blog that inspires others to get into the kitchen. And I know this because your French Laundry blog was there for me during my own tough time and helped me get off the couch or out of bed and into the kitchen or off to the grocery store. So thank you and take care. I completely know what you mean about the dishwasher in the background. My partner is going through chemotherapy and while I'm grateful to have friends bringing over food & groceries, I really can't stand to be out of my kitchen very long; I feel rootless. There's something about being competent in one's own space that does restore sanity. I am sorry to hear that things have been so stinkin' hard. Thank you for posting this dish--it sounds fantastic. I'm sorry you're having/have had a rough time. So many things all at once. Overwhelming. Sounds like you've got a handle on it, but it doesn't sound easy. This dish, however, sounds really wonderful. I raised European fallow deer for venison for ten years and cooked it aplenty. However, I only ever had the "trim" - legs and lots of ground meat, never the loin, which went to local restaurants. I like venison a lot and think I might get the gumption to try an abbreviated version of this. I made this dish for the first time 2 weekends ago and it turned out much like yours. The savory granola is a revelation and the way it pairs with the venison is brilliant. I also couldn't get the toasted oat bubbles to work (what's up with that?) but I found a great way to use all that toasted oat-infused milk. Here's what I did, I took 2 cups of heavy cream and brought it to a simmer. I added about a half cup of sugar and a tablespoon of vanilla extract to 5 egg yolks and whisked to dissolve. I tempered the eggs with the cream, then added two cups of the oat milk, put it back on the stove and got it to 180F, cooled it off and put it in the ice cream maker. Right before it was done I drizzled a few tablespoon of maple syrup in and voila - toasted oat and maple ice cream. It is absolutely awesome, like breakfast for dessert.